A qualitative vulnerability assessment for a tribe in Oklahoma. This is a good example of how to conduct a vulnerability assessment for a local jurisdiction that has limited resources. This resource from the Pew Center provides information on current efforts underway in adaptation planning across the United States. Released by the U.S. Centers for Disease Control and Prevention, "Assessing Health Vulnerability to Climate Change" will help public health departments assess local vulnerabilities to health hazards associated with climate change. The assessments will help inform targeted public health actions to reduce the health impacts of climate change. This report quantifies the economic impacts of climate change in order to assist policy makers make decisions in spite of the uncertainty associated with climate projections. Identifying risks associated with climate change and managing them to reduce their impacts is essential. 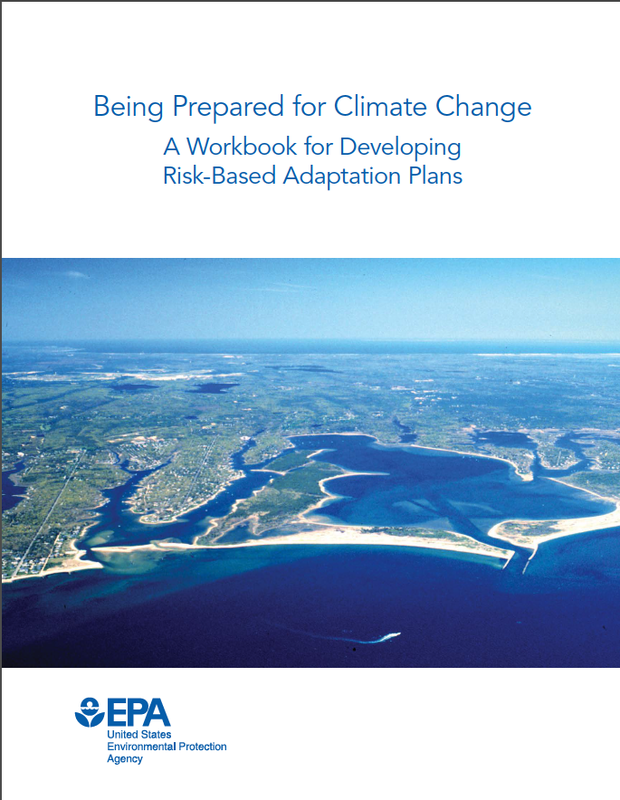 This Workbook presents a guide to climate change adaption planning based on EPA's experience with watershed management, the National Estuary Program and the Climate Ready Estuaries program. The Workbook will assist organizations that manage environmental resources to prepare a broad, risk-based adaptation plan. Climate change effects over the next 25 years will be mixed. Continued changes by mid-century and beyond, however, are expected to have generally detrimental effects on most crops and livestock. As temperatures increase, crop production areas may shift to follow the temperature range for optimal growth and yield, though production in any given location will be more influenced by available soil water during the growing season. Weed control costs total more than $11 billion a year in the U.S.; those costs are expected to rise with increasing temperatures and carbon dioxide concentrations. Changing climate will also influence livestock production. Heat stress for any specific type of livestock can damage performance, production, and fertility, limiting the production of meat, milk, or eggs. Changes in forage type and nutrient content will likely influence grazing management needs. Insect and disease prevalence are expected to increase under warmer and more humid conditions, diminishing animal health and productivity. Note: For copies of the figures contained in this document, contact Jennifer Lohr at jlohr@oce.usda.gov or 202-720-8024. This report is an excellent overview of indicators of climate change. The report includes more than 20 separate indicators, each of which describes trends that are related to causes and effects of climate change. This report assesses the climate-related vulnerability of key grassland wildlife in the Great Plains. It also documents research questions to be addressed in the future regarding the management of grassland habitats and conservation of grassland birds.